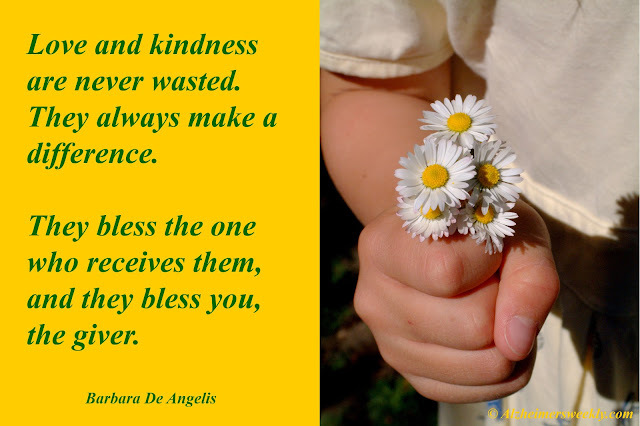 Love & kindness are never wasted. They always make a difference. In any disease or situation in life, having a positive attitude and FAITH might not cure the malady but will at least ease the journey. It's always easier to maintain that positive attitude when you can experience the love and kindness of others. I know. I have.